Kumeu Observatory Log: Sharp Focus on a Marginal Night! Sharp Focus on a Marginal Night! Saturday the 17th of June was a fantastic Winters day with lovely blue skies, unfortunately as the Sun began to set thin clouds started to roll in, thinking that I may as well head out to Kumeu anyway in the hope that the clouds would clear up I arrived at the observatory at 7:30 pm, the Sky was certainly not clear on arrival, so I just opened up the dome and hoped that things would improve, while waiting for the sky to clear I noticed that the cloud sensor was no longer logging data, I'm not sure what the problem is, after giving Steve a call, I tried a few things but failed to get it working again, so that will be something we will need to have a look at, as having a working cloud sensor is very useful indeed. 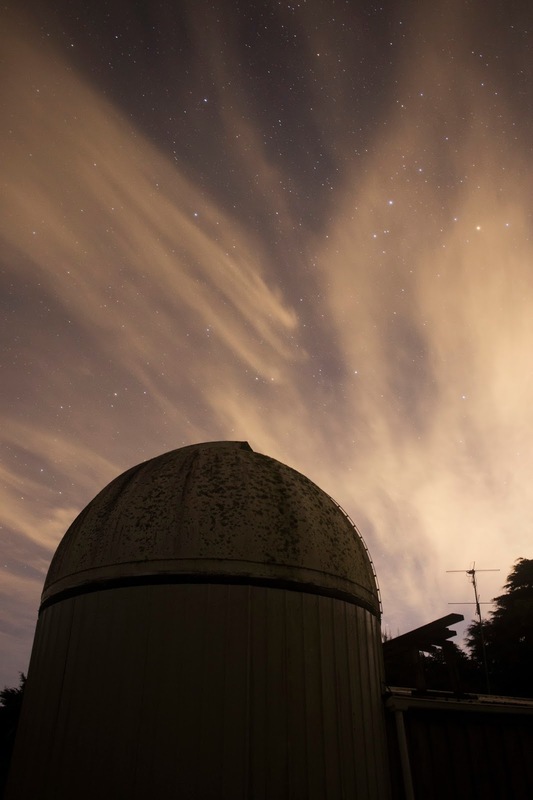 <- The Sharpest Focus ever recorded at Kumeu Observatory so far! 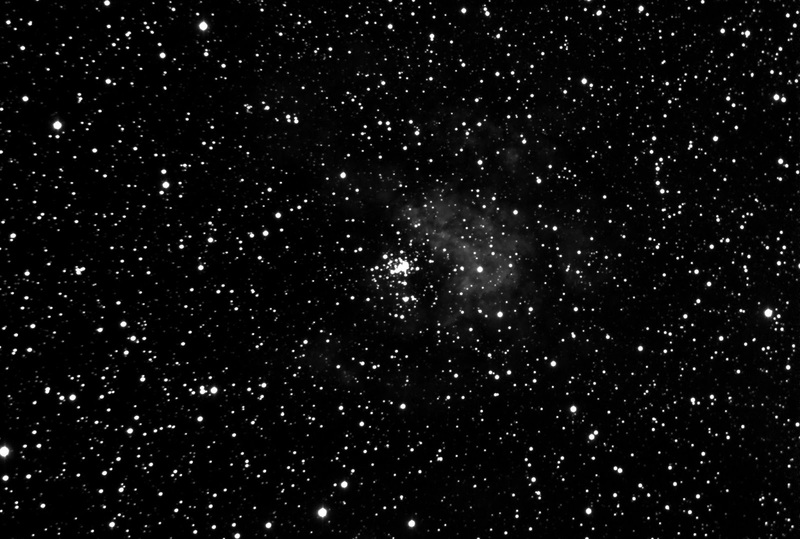 I noticed that the one part of the Sky that seemed not to have many clouds, was looking in the direction of the constellation of Carina, so knowing that there is an interesting target in that part of the sky, I set about gaining focus, It was a bit strange that on a night when the conditions were so marginal I managed to get the sharpest focus ever obtained from Kumeu Observatory! With a FWHM of 1.25 arc seconds per pixel on a Mag 8.6 star! We have discovered evidence that we have mirror flop issues so maybe the mirror just flopped into perfect collimation or something? 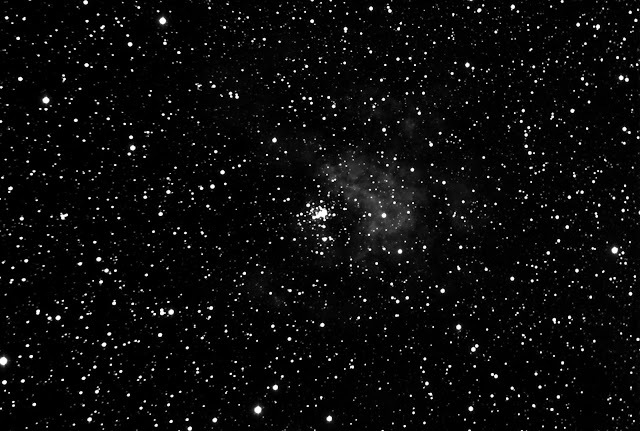 After gaining a sharp focus I started to image the Star Cluster Westerlund 2, the cluster contains some of the most massive stars known in our galaxy as well as many interesting "Wolf–Rayet stars", even though that part of the sky was the clearest, I think there was still enough clouds around to end up effecting the images so I'm not sure if the data will be useful or not but Grant Christie and Tim Natusch at Stardome Observatory have been studying the cluster for a while now so they might find the data useful. ^ A stack of an hours worth of one minute exposures of the Star Cluster Westerlund 2 in the constellation of Carina. 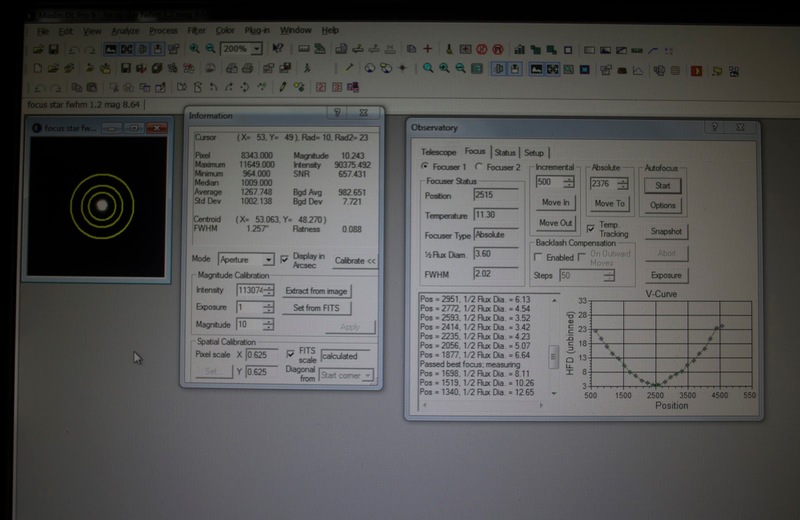 By the time I finished the hour long run on Westerlund 2 I set about attempting to gain some data on our current microlensing targets but needing to get five minute exposures I found I couldn't autoguide for long before losing the guide star due to clouds, so after a few attempts I went outside and found that the sky conditions had deteriorated, so I packing down and headed home just after midnight. 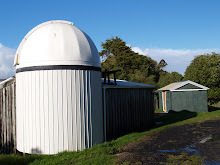 <- The Sky Conditions when I arrived at Kumeu Observatory. A half decent night finally. Cloudy nights and a Rookie Mistake. 1st attempt at a Microlens Star Field.